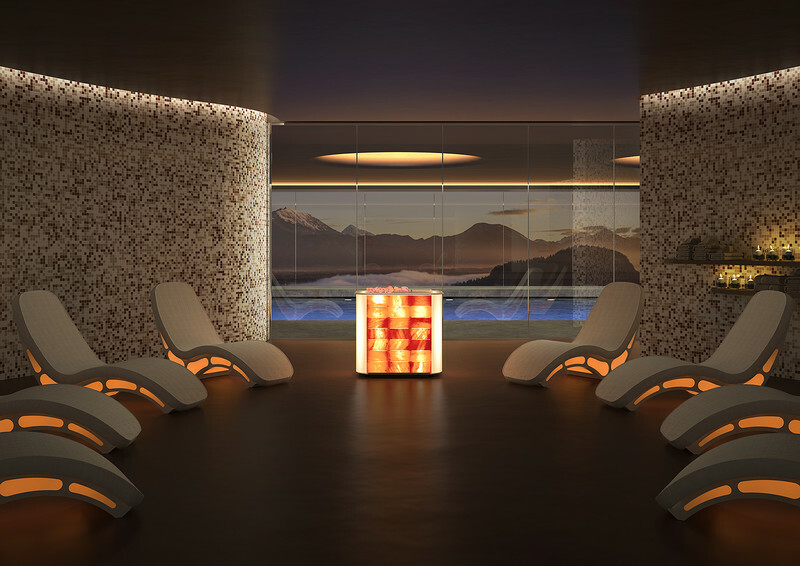 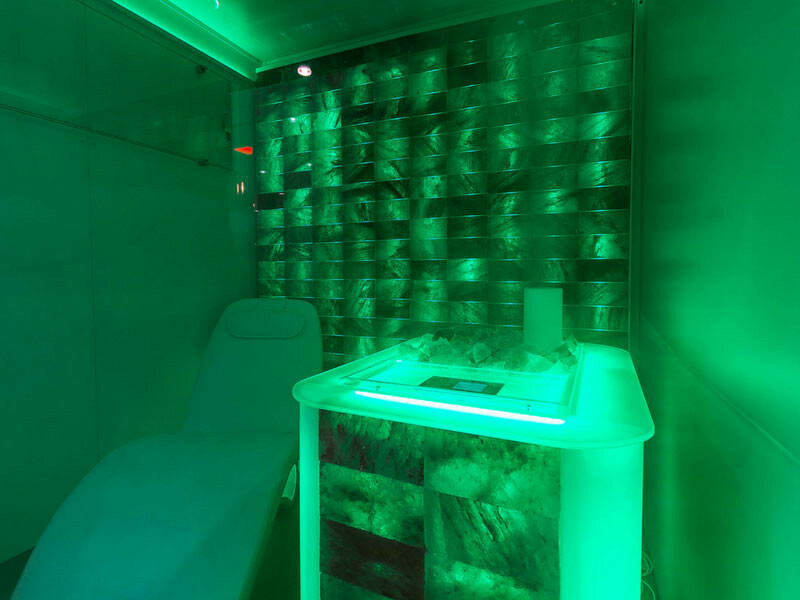 Iso Benessere presents the new Himalayan Cube, an innovative product for wellness and beauty centers, which wish to have an emotional and invigorating salt room in a new or already existing space. 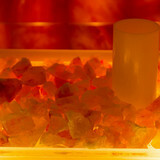 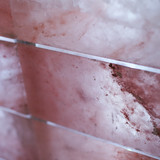 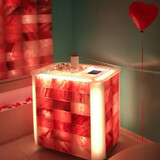 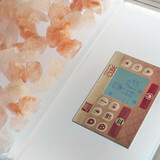 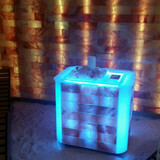 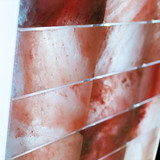 Himalayan Cube consists of a ‘portable’ Salis technique, which can be placed in a room for the salt treatment and it is surrounded with natural and precious Himalayan salt bricks, enlightened by Led lights which create a relaxing and peaceful atmosphere. 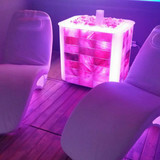 The built-in music and aromas diffuser functions, will make the stay of the customers even more pleasant and enjoyable. 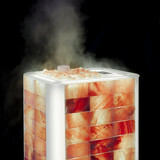 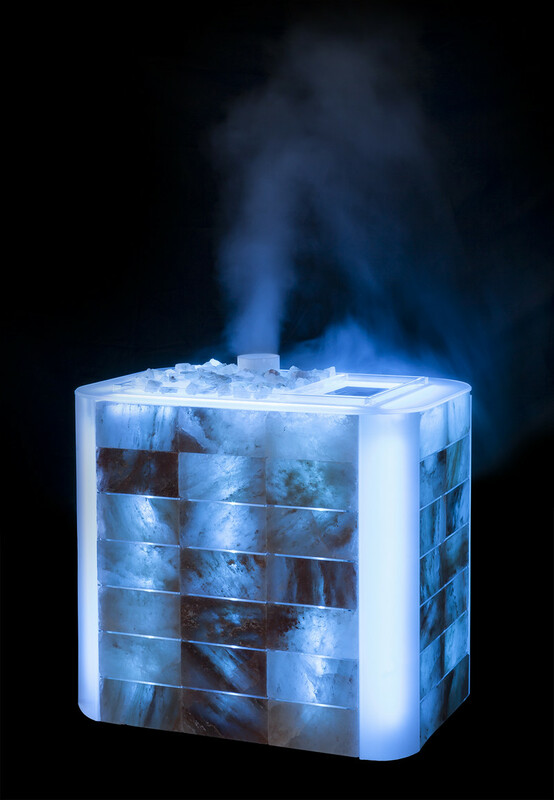 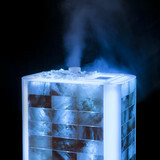 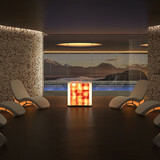 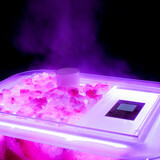 Himalayan Cube may create an emotional and unique atmosphere in relaxing open areas, with its aroma diffuser function, combined with music therapy and chromotherapy. 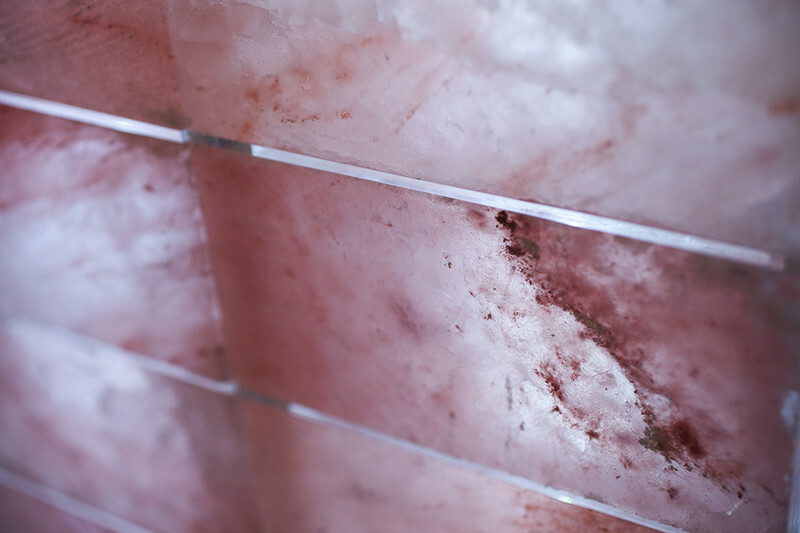 Thanks to all its wellness-functions and the easy and simple way to place it, it will be an essential and precious piece of furniture that can be combined with our Himalayan salt walls to enrich your spa. 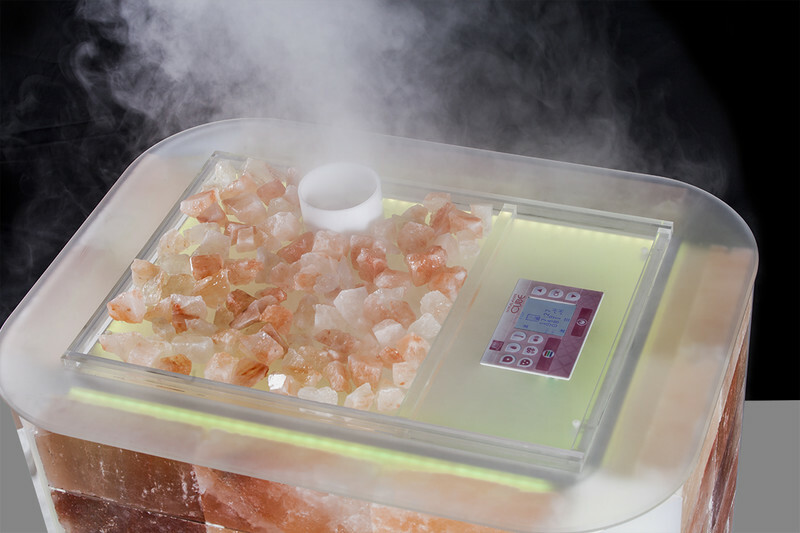 Halotherapy is a totally natural method based on the nebulization of microparticles of crystalline salt, which reproduces the sea enviroment conditions, typically present on beaches. 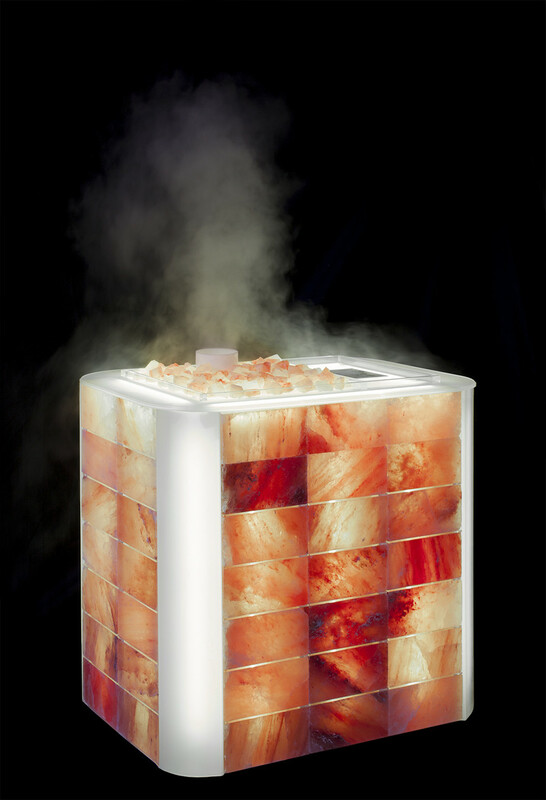 The antibacterial and anti-inflammatory action of these saline microparticles boosts the immune system and eliminates muscle tension, stress and prevent the formation of spots, pimples and blackheads. 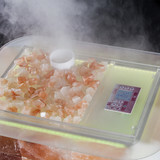 Furthermore, the steam enriches the skin with iodine, a substance that accelerates the metabolism and helps natural weight loss. 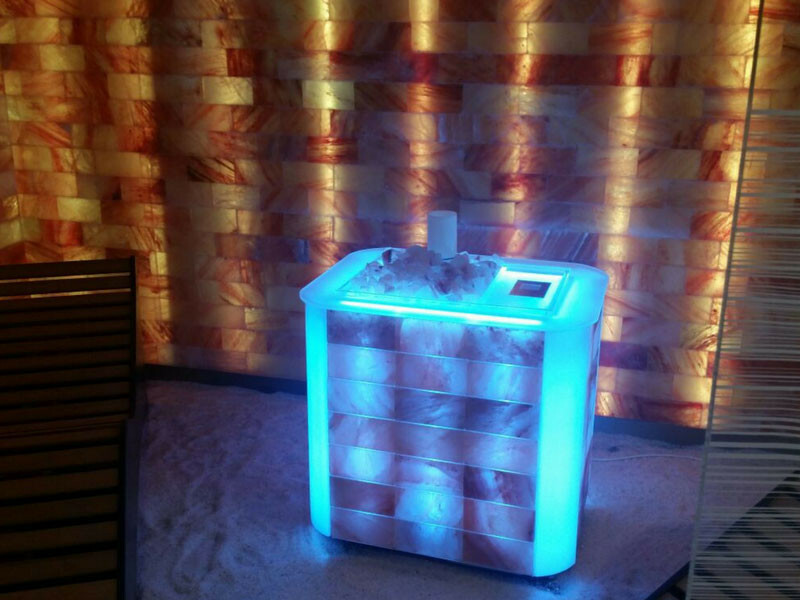 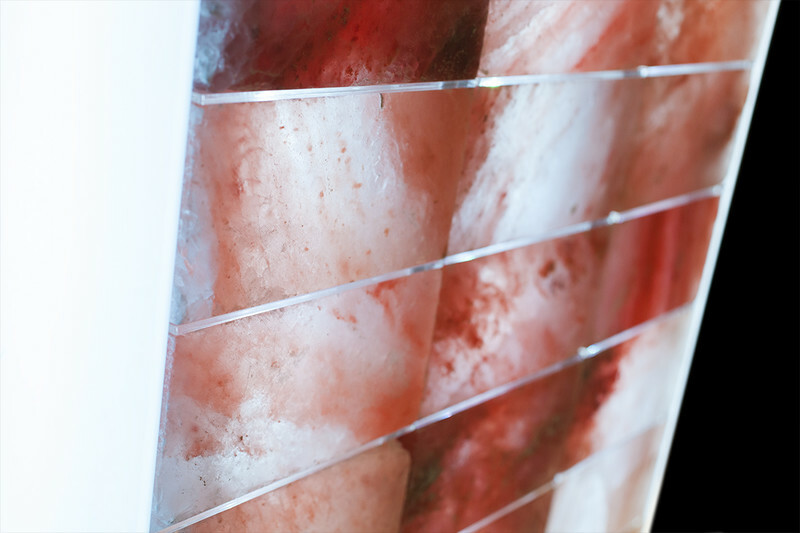 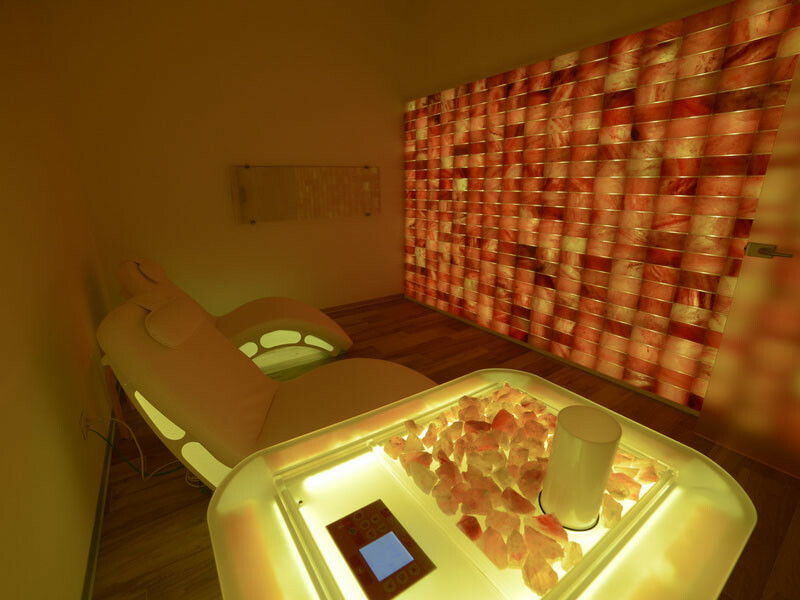 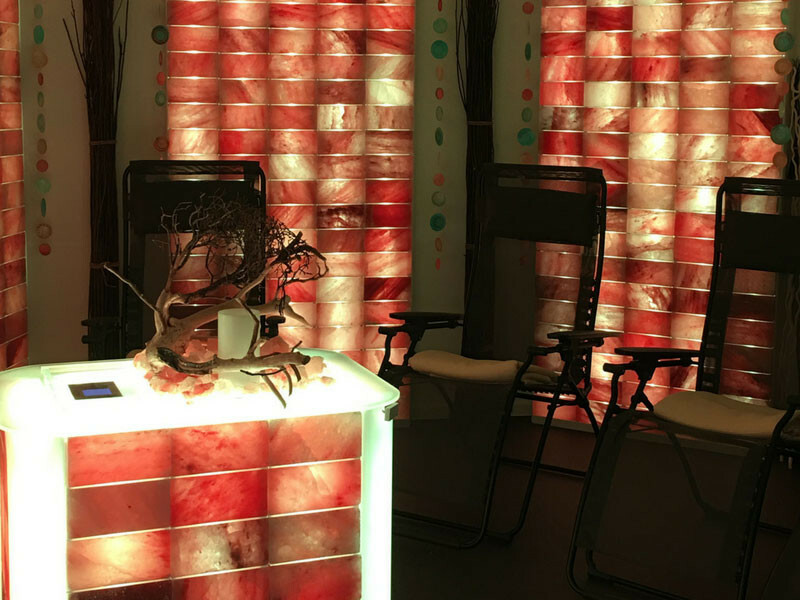 Each side of Himalayan Cube is covered with Himalayan salt bricks and gives the important benefits of halotherapy combined with chromotherapy. 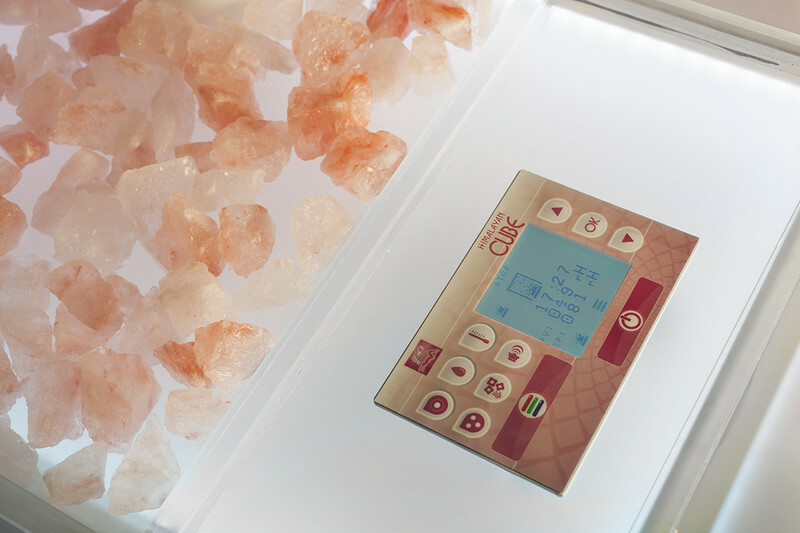 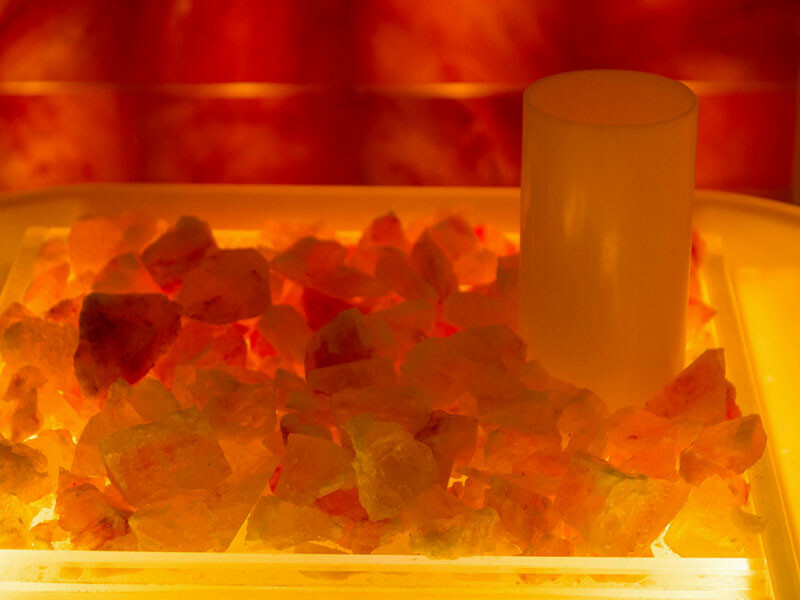 The pure Himalayan salt neutralizes the electromagnetic frequencies and charges the water molecules in the room with positive energy, providing beneficial effects against nervous tension, insomnia, difficulties in concentrations and free radicals. 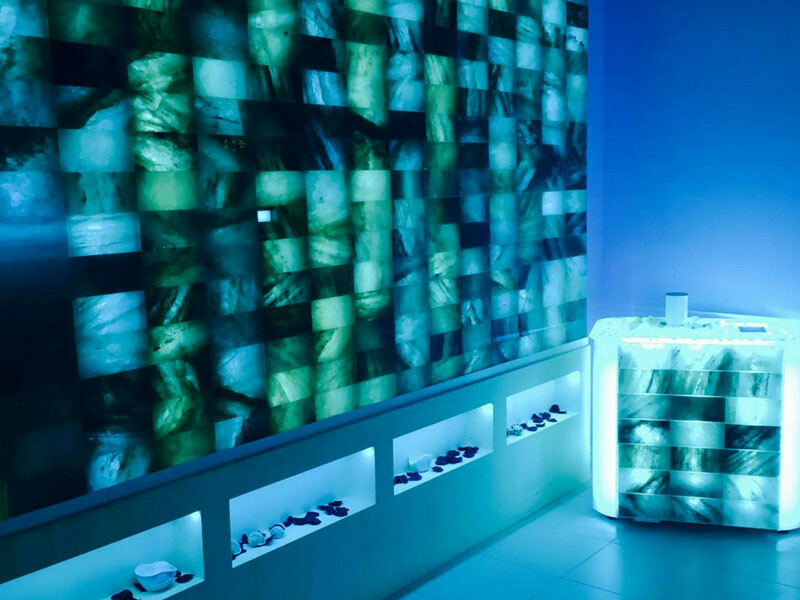 The rows of light behind the columns of bricks, created using an RGB LED lighting system, are remote controlled, making it easier to monitor the chromotherapy programmes. 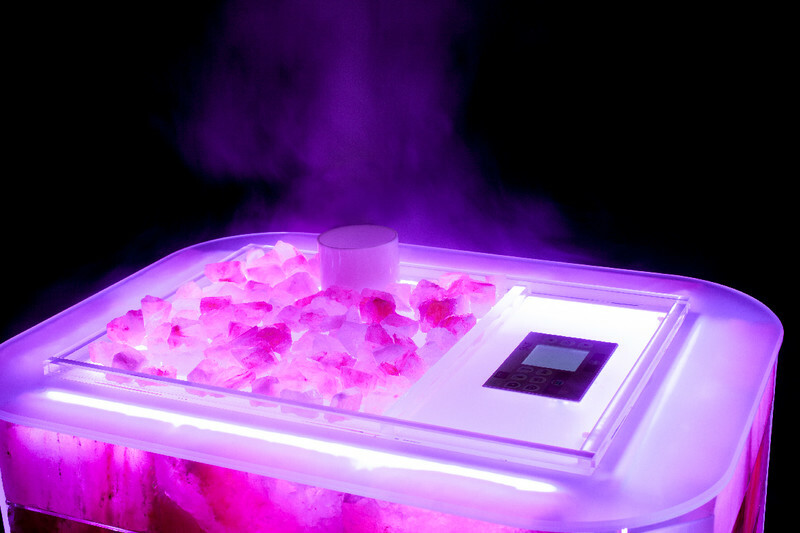 The simple, user-friendly control panel means it is possible to set the desired characteristics of the environment: room temperature and humidity level can be adjusted with a touch and set at the degree and time at disposal. 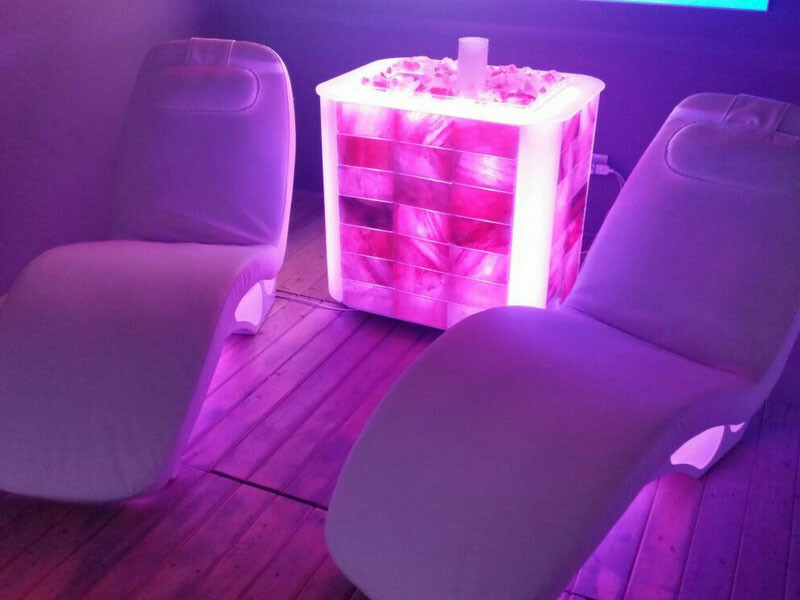 Music, chromotherapy and aromas, complete this fantastic wellness offer and can be controlled from the display by the operator or by the customer. 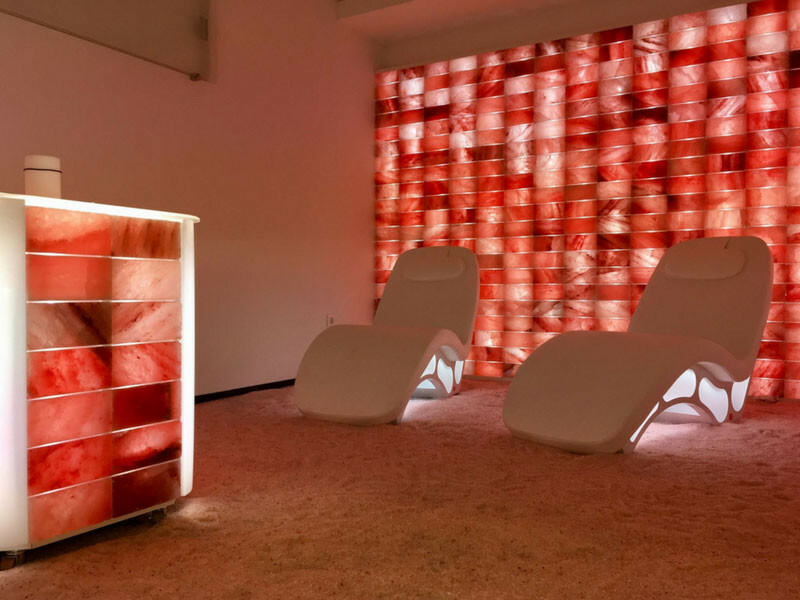 By combining Himalayan Cube with Himalayan salt wall or with Salis salt cabine by Iso Benessere, you will create an harmonious and designed space of great effect. 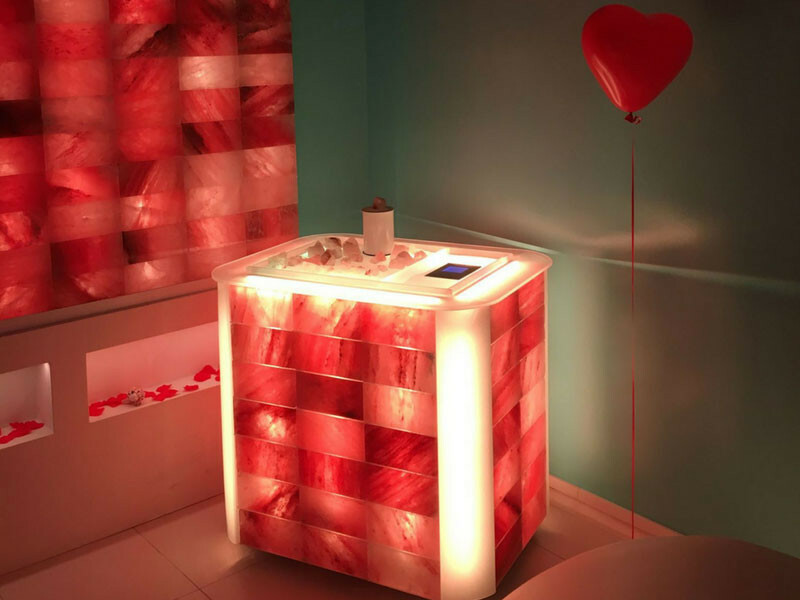 If Himalayan Cube works with another product by ISO Benessere, such as the salt wall or one of our table, an optional adaptor allows the matching of the colours, emphasizing the benefits of chromo therapy and creating a charming atmosphere for a bath full of colors. 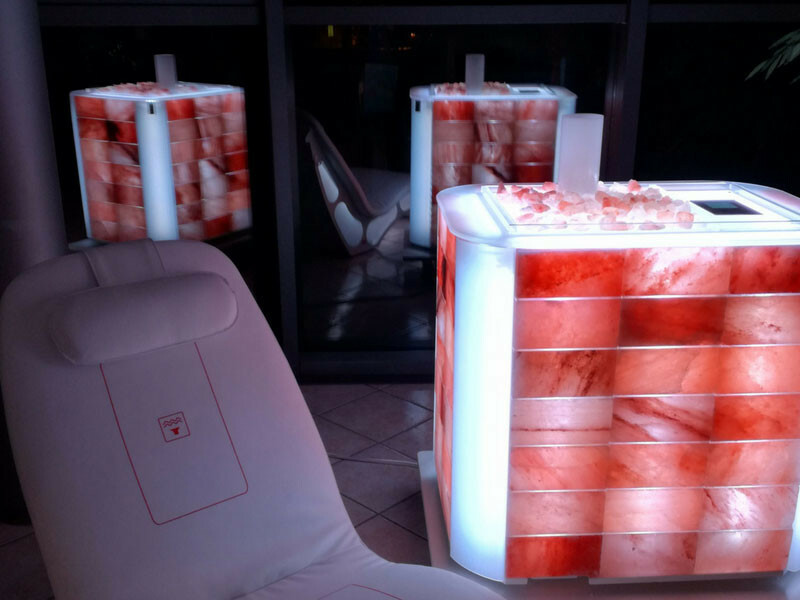 The combination is perfect for finish, color lights options and materials and makes Himalayan Cube not only a functional element for your SPA but also a piece of furniture for regenerating atmospheres of great emotion and well-being. 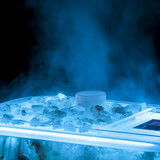 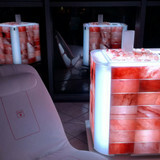 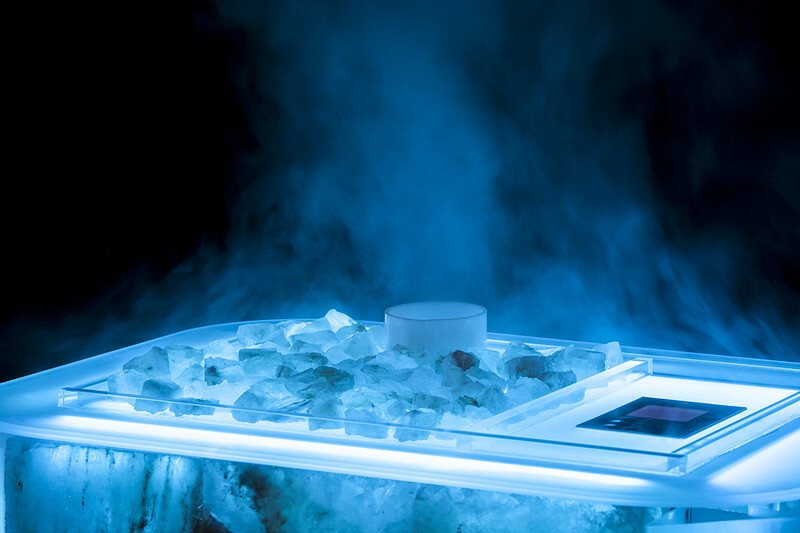 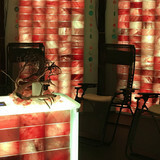 Create a regenerating and emotional salt room in a very simple way with this piece of furniture.